Innovation. Transformed. We transform ideas into software reality. SysSpark works with innovators to transform ideas into well-positioned, early-stage software offerings. When an innovator brings us a new idea, we start with an evaluation process that considers a wide variety of market factors. When we decide, together, to pursue a great idea, we develop the offering by leveraging the design, development and analytics capabilities of our sister company, SysLogic. As development continues, we help position the new offering by soliciting beta users, negotiating beta user agreements, and soliciting beta user feedback and endorsements. Once we have a viable beta offering, we work with the innovator to determine the next best steps -- which may range from providing ongoing technical support to a new company as it grows revenues from the license of the software, to helping position the software and related IP for outright sale to an existing market participant. For each new project, we assemble a team consisting of our core members and ad hoc members with pertinent industry expertise. We enter into a development agreement with the innovator that specifies the scope of work, deliverables and related terms. We customarily participate in projects in return for equity or a combination of equity and reduced fees. For each new project, we generally create a new legal entity to own the software offering and related IP -- with the entity being owned by the innovator and SysSpark. We love working side-by-side with innovators to transform their ideas into software reality. SysSpark provides a flexible development alternative to the traditional start-up model. Some innovators lack the time, ability or desire to finance and build start-up companies from the ground up -- and are more interested in pursing the next great innovation. Others may have ideas that are best optimized by developing a software product through beta/v1 and positioning it for sale to an existing third-party operating within exiting distribution channels. For innovations best pursued through a more traditional start-up, SysSpark allows innovators to avoid the common pitfall of overspending on early technical development only to be left short when the focus shifts to sales, marketing and distribution. We leverage the project management and build capabilities of our sister company, SysLogic. SysLogic is an established IT consulting firm with application design, development, analytics and project management proficiency across a wide range of technologies. SysLogic serves a broad range of clients and maintains a robust network of strategic partners in managed security services, health care, financial services, manufacturing and government, principally in Wisconsin and the Midwest. We are particularly interested in ideas and potential offerings in these areas. We seek to partner with and accelerate the next wave of software innovators and innovations. Jeff is a Partner with Quarles & Brady LLP, an AmLaw 200 law firm with nearly 500 lawyers practicing in Milwaukee, Madison, Chicago, Indianapolis, Tampa, Naples, Phoenix, Tucson, Scottsdale and Washington D.C. In his law practice, Jeff is a multi-disciplinary attorney dedicated to helping clients by developing efficient processes and systematic solutions for addressing broad regulatory and legal challenges. Jeff holds significant leadership positions within the firm, giving him a broad perspective and making him an excellent counselor, strategist and client relationship lawyer. Jeff serves on the firm's elected Executive Committee, and is one of two Section Chairs -- in which capacity he works with the Firm Chair and Firm Managing Partner to manage the strategic direction and performance of half the firm's industry teams and practice groups. Jeff is a technology enthusiast (with a degree in mathematics and computer science). He also loves fitness and training, and is part-owner of HubieFit LLC, a fitness company with a focus on triathlon training and gear. Jeff received his undergraduate degree from Marquette University, then attended law school at Georgetown University Law Center in Washington, D.C., where he served as Editor in Chief of the Georgetown Law Journal. Jeff also attended the University of Notre Dame, Mendoza College of Business, where he received a Certificate in Executive Management. Tina is the CEO of SysLogic, an IT firm established in 1995 which provides consulting services ranging from IT strategy to custom application development. Tina is a recognized leader, having held board and leadership positions with Weyco Group, Greater Milwaukee Committee, Metropolitan Milwaukee Area Chamber of Commerce (MMAC), Professional Dimensions, Rotary Club of Milwaukee, Waukesha County Business Alliance, Alverno College, Ascension Healthcare, Children’s Hospital of WI, Teach for America – Milwaukee, United Performing Arts Fund (UPAF), United Way of Greater Milwaukee and Waukesha County, Wisconsin Policy Forum, and the YMCA of Greater Milwaukee. 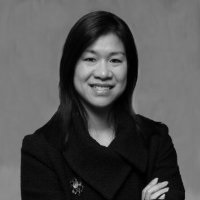 Originally from New York, Tina attended the University of Wisconsin-Madison, where she received a BBA degree with an emphasis in Marketing and International Business, and the University of Copenhagen, Denmark, where she specialized in accounting and European commerce. Tina also attended Darden School of Business at University of Virginia and the Tuck School of Business at Dartmouth College, in their Business Executive Programs. 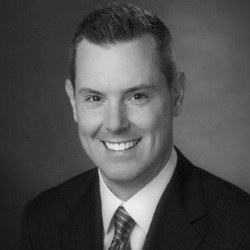 Scott is the Chief Solutions Officer of SysSpark. 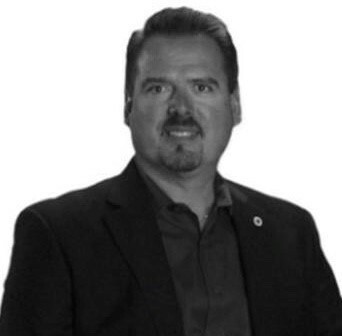 He brings to SysSpark more than 30 years of proven leadership and exceptional management in diverse, global, and technical industries including eighteen years of experience in the HVAC and building automation industry, leading new product development across a broad array of system solutions. Scott also has a 15-year reputation in the aerospace industry for quality results, technical innovation, and customer focus. Scott’s career spans several roles from entry-level engineering to General Manager. 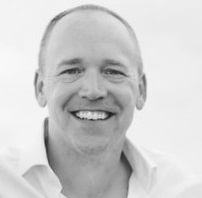 Scott’s passion and expertise is in dealing with unique customer challenges and deriving solutions to meet market demands. Scott attended Milwaukee School of Engineering where he received an A.A.S. degree in Computer Engineering Technology and a B.S. in Electrical Engineering Technology. Scott also attended the University of Iowa where he earned his Master of Business Administration. 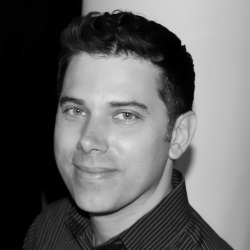 Jason is the Chief Market Officer of SysSpark and is the Founder and Managing Partner of Elevar Partners, a Business Consulting firm based in Minneapolis. Prior to establishing Elevar Partners, Jason was the Founder of four early stage companies within the healthcare, recycling and beverage distribution sectors. All four ventures resulted in a successful acquisition by strategic buyers, including Cintas Corp., a Fortune 500 company. Prior to these business ventures, Jason was involved with Keurig Coffee, focusing on developing and executing the go-to market strategy when Keurig was in its formative stage. Jason has spent his career identifying market opportunities and executing business strategies around those opportunities. Jason attended Macalester College in St. Paul, Minnesota, where he received a BA in Economics. 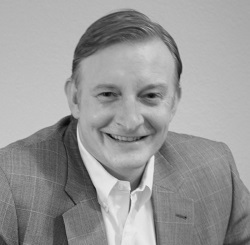 Steve is a Senior Consultant with SysLogic, Inc. with extensive experience leading people and project teams, and implementing and overseeing technology programs. Steve has over two decades of experience managing and directing efforts to develop innovative solutions for a wide range of companies from the start-ups to Fortune 500 companies. He is a leader with a proven history of working with senior management teams to transition from idea to execution. Before joining SysLogic, Steven worked at Accenture, where he co-developed Accenture's San Francisco Dot-Com Launch Center for business start-ups -- which helped dozens of start-ups transition from concept to business operations. Steve attended the University of Wisconsin where he received a BBA degree, majoring in Marketing with a specialization in Marketing Research and a Post Baccalaureate of Business Administration with an emphasis on Management Information Systems and International Business. Brice is a Senior Security Architect and Practice Lead with SysLogic, Inc. and the technical lead for their Managed Security Advisory Services program which provides a combination of business and technical expertise focused on cyber security and its domain landscape from a integrated, holistic perspective. Brice has over 18 years of deep technical experience in enterprise software development and information security practices. Brice is an active member of the Open Web Application Security Project (OWASP), the Cloud Security Alliance, and the International Information Systems Security Certification Consortium, Inc., and their respective NYC chapters. For more information about what we do, or to discuss a great idea with us, please provide your contact information below and a representative will get in touch with you promptly.